The NBA season is finally upon us. No lockout – just basketball. With a multitude of story lines inundating this league, there are many reasons to be amped about this season. I will give you the main reasons to be excited about watching each team in the NBA. Atlanta Hawks – Al Horford will quickly develop into the focal point of this offense as this franchise moves into the post-Joe Johnson era. At the point guard position, speedy Devin Harris will get the chance to get back to the player – a better player – he was before Utah. Will a sixth consecutive playoff appearance go along with this? Josh Smith‘s decision to stay or go next summer will be effected based upon the answer to this question. Boston Celtics – With the acquisitions of Jason Terry and Leandro Barbosa along with a healthy Jeff Green, Rajon Rondo might finally have the athletic pieces to allow him to completely take the reins of the offense. Correction: he will take the reins of the offense. Once breakout rookie Avery Bradley comes back in December, this team has a good chance to be the Heat’s best competition in the East as so many have already claimed. Brooklyn Nets – Deron Williams. Black and White jerseys. Brooklyn. Jay-Z. What is not exciting about the newest team in the NBA? If they continue to win at the same rate as they did in New Jersey, though, they will quickly become old, bland news. Joe Johnson won’t let that happen. Charlotte Bobcats – After finishing the lockout season with the worst winning percentage in NBA history (.106), there’s only one place this franchise can go: up. As we move into the era of washed up veterans (Ben Gordon and Brendan Haywood) and Michael-Kidd Gilchrist, they might finally move out of the last spot in the East all thanks to Dwight Howard. Chicago Bulls – The eventual early return of superstar Derrick Rose will rank as one of the most emotional moments in NBA – if not sports – history. When he comes back, we will see less Nate Robinson, but we will see an inspired team that can compete in the playoffs. 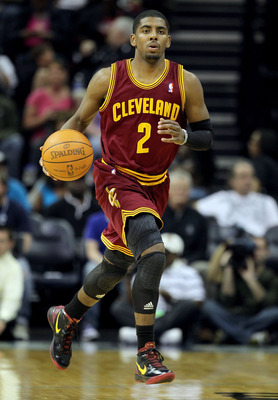 Cleveland Cavaliers – Kyrie Irving. This kid is about to elevate himself into the upper echelon of the league and become a superstar for his team. As one of the youngest and potential-filled (Irving, Tristan Thompson, Dion Waiters, Tyler Zeller) teams in the NBA, the city of Cleveland can finally have hope for their franchise’s future. Detroit Pistons – If you like tough big man play, this is the team for you. Budding soon-to-be All-Star Greg Monroe along with already impressive rookie Andre Drummond (two men that are both one inch away from being seven-footers) will provide Detroit with a chance to squeeze into the playoffs – if Rodney Stuckey finally takes his point guard game to the next level. Indiana Pacers – Following the Thunder’s footsteps by making it into the bottom-half of the playoffs two years ago followed by the top-half of the bracket last year, can they continue to follow suit and take the next step into the NBA Finals? With a healthy Danny Granger, always improving Paul George and dominate All-Star seven-footer Roy Hibbert, a generous playoff route could direct them to the promise land. At the very least, Gerald Green will provide casual fans with plenty of jump-off-your-couch-in-excitement slam dunks. Miami Heat – What is next for LeBron James? What’s next is an unimaginable season. With a relaxed attitude toward the game of basketball, the King (he has a ring…) will collect his fourth MVP award as the Heat will have a commanding season (along with Ray Allen hitting many three-pointers), making it to the Eastern Conference Finals at the very least. Milwaukee Bucks – Finishing ninth in two straight seasons, this team has been scraping the edge of the playoffs. Monta Ellis getting a full NBA season with the team beside fellow guard Brandon Jennings makes this yet another exciting East backcourt duo. This will be a very scary group that could beat any team on any given night when both of these players are having solid shooting nights. New York Knicks – Yes, they are the oldest team in NBA history. But they have quality old veterans that still know how to use their intelligence to play the game (Jason Kidd, Marcus Camby, Kurt Thomas). Since Amare Stoudemire will be out 6-8 weeks, Knicks fans get to see Carmelo Anthony at the position he plays best (power forward), making this group the best team in New York. Orlando Magic – They might not win many games this season, but this fan base can finally let out a sigh of relief as their baby center finally got his wish. Keep an eye out for Andre Nicholson, who could become the surprise rookie of the 2012 class. Philadelphia 76ers – When Andrew Bynum finds a way to get healthy, that’s when the excitement can start. This Sixers season is all about their new pure center. Fitting Bynum into Doug Collins and Jrue Holiday‘s system could lead to a challenge for the much smaller Miami Heat once the playoffs roll around. Toronto Raptors – Even though it would have been nice to bring Steve Nash back to his hometown, this franchise got a stat-stuffing guard in Kyle Lowry, who will record multiple triple-doubles this year. Rookie center Jonas Valanciunas will find his way onto many SportsCenter Top 10’s throughout this season. Washington Wizards – Once John Wall recovers from surgery, Bradley Beal will be an exceptional shooting guard to compliment his game and Nenê will continue to be the offensive force he has been since he entered the league. Just like the Pistons, this young team could find themselves in the playoffs if Wall does not continue to plateau as a basketball player. Dallas Mavericks – For a team that doesn’t have Jason Kidd, Jason Terry or Dirk Nowitzki playing in their season opener, it’s difficult to get a grasp on this team’s identity. If they can establish their identity, Darren Collison and O.J. Mayo can wipe away last year’s regressed season and Dirk can play like a healthy and hungry Dirk, they will make the playoffs for the 13th consecutive season. Denver Nuggets – Easily the funnest team in the league (Ty Lawson and Kenneth Faried both having styles of play that any fan would enjoy watching), this group of pretty-good-to-great players has the most potential in the league. For this potential to turn into something legitimate, Andre Iguodala must become that go-to guy they have desperately been searching for since Melo left for New York. Golden State Warriors – For the first time since 1997, the Warriors will have an All-Star in Stephen Curry – if he stays healthy (yes, that is indeed a big “if”). Putting him in a lineup with Klay Thompson, who will drastically improve this year, and Andrew Bogut, who will be a force down low, this new and improved California team will fulfill Mark Jackson’s prediction from last year that his team will make the playoffs. Houston Rockets – James Harden. We have only known Harden as that sixth man on a team with two bigger and better stars. Now it’s his time. Putting the bearded man next to Jeremy Lin will improve both of their games, and with Omer Asik setting picks for these two guards, they now have a foundation for the future. LA Clippers – Los Angeles does not know the future of superstar point guard Chris Paul with his contract soon coming to a close. But while they have him, this is still lob city. With one of the deepest benches in the league and Blake Griffin improving his low-post game, Paul can take this team as far as his clutch play desires. LA Lakers – The two most important positions on the court are point guard and center. The Lakers traded for two of the best at those positions in Dwight Howard and Steve Nash. They also have that guy named Kobe Bryant. They are officially “Hollywood” with undoubtedly the best starting lineup in the league once they find their chemistry. Since the Thunder also need to gel themselves with Harden gone, the Lakers have a legitimate chance to go all the way yet again. Memphis Grizzlies – Is it possible to be the dark horse for three consecutive years? The Grizzlies are in the running for this title again. A healthy Zach Randolph takes this team to an extra playoff series – just look at 2011. If they get a better passer in Mike Conley Jr. to lead the exact same core – other than O.J. Mayo – from last year, you can’t forget about this team when making your playoff predictions. Minnesota Timberwolves – The injury bug just won’t go away in Minnesota. First Ricky Rubio. Then Kevin Love… because of some knuckle push-ups. Even without their best two players, this team still has a lot of depth, and if Brandon Roy and Andrei Kirilenko produce like the players that we used to know, they could still grab that eighth seed. New Orleans Hornets – Inevitable Rookie of the Year Anthony Davis brings to the court everything you want in a center. Throw in a flashy Austin Rivers along with a healthy Eric Gordon and you have three players that could lead this team for years to come. (And don’t forget about the reigning Most Improved Player of the Year Ryan Anderson spotting up behind the three-point line.) The fans might soon forget about Chris Paul when Davis has his first 20-20 game. Oklahoma City Thunder – This small-market team gave up a core for the ages in order to avoid the penalties of the new CBA. 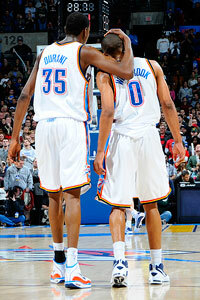 Durant/Westbrook/Harden could have been a trio for the ages. But now there is a new trio in OKC with a second Kevin in Kevin Martin that will be running off ball screens and drawing fouls. Even if he can’t be a distributor like Harden, he will get his fair share of points. Whether or not they are the favorites to come out of the West does not change the fact that they will be an electrifying ball club with plenty of highlights from Russ and Durantula. Phoenix Suns – Discovering what the Suns new identity will be is a scary yet exciting thought. They don’t have Steve Nash anymore, but they have a solid frontline in Michael Beasley, Luis Scola and Marcin Gortat that all have not yet reached their ceiling as NBA players. How can they reach that ceiling? Goran Dragic. 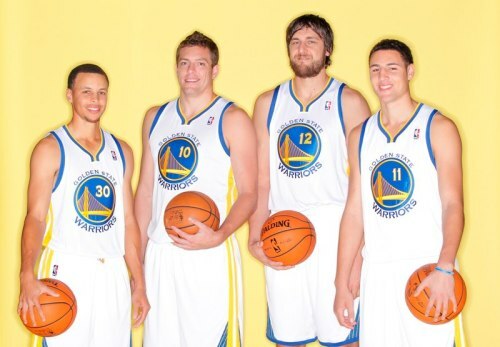 If their point guard works with these big men, all four could have respectable seasons. Portland Trial Blazers – The Greg Oden-Brandon Roy era is officially over. Finally. Even though LaMarcus Aldridge still remains as the cornerstone of this franchise, how quickly Damian Lillard, who could make the Rookie of the Year race closer than people think, develops will determine just how soon this team moves out of the pits of the West. Oh, and Nicolas Batum? Just wait until he breaks out this season. Sacramento Kings – The last pick of the 2011 draft will soon become the most exciting little man to watch in the entire league. Isaiah Thomas statistically improved in both scoring and assisting in every successive month last season and doesn’t look to be stopping any time soon. If DeMarcus Cousins continues to improve his game along with his attitude and Marcus Thornton quietly maintains his average of 18-20 points, they could become the sporadically hot team you never want to face. San Antonio Spurs – The good news for the skeptics is that Duncan/Ginobili/Parker are now all over 30-years-old. The bad news is that Duncan/Ginobili/Parker have never let age get in the way of winning. Every single season we are reminded that the Spurs are “one year older” and they continue to make it to the playoffs. Thanks for that, Pop. We should expect nothing less this season. Utah Jazz – Devin Harris is finally gone. And they still have the best quadruplet of big men in the NBA with Favors/Jefferson/Kanter/Millsap leading the way. Every single one of these players can pound the ball down low and actually be a conventional power forward or center. (Shocking, right?) They made the playoffs last year and can now build on this experience. The worst get worse as this Ramon Sessions – Brendan Haywood – Ben Gordon image is the best package that the abysmal Charlotte Bobcats have to offer to their city… and some new jerseys that remind fans their mascot is a feline. For the first time in NBA History, the first two picks of the NBA Draft came from the same college – the University of Kentucky. 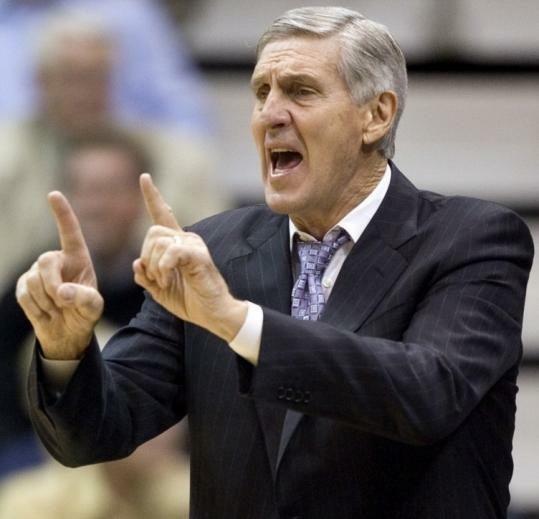 The Charlotte Bobcats will interview Hall of Famer Jerry Sloan Friday for the team’s vacant head-coaching position. These two parties come from different places winning-wise. If the Charlotte Bobcats theoretically keep their current pace of 29 wins a year, they will match Jerry Sloan’s win total (1,221) in 2047. Phoenix Coyotes forward Raffi Torres was suspended 25 games by the NHL for launching himself into Chicago Blackhawks forward Marian Hossa during their playoff game. Hossa ended up in the hospital, and the punishment was so severe mainly because Torres is a “repeat offender.” The NHL should be this strict with all of their penalties in order to keep this these type of hits out of the game. Even with hockey’s physical play, this isn’t needed on the ice or in any other sport for the matter. The Coyotes holds the 3-2 series lead going into game six on Monday. All five games in this series have gone to overtime as each team easily look like they could come out on top. They both are showing a lot of grit, a quality that is invaluable when it comes to playoff hockey. Whoever wins this series is bound to give their opponent trouble in the second round. The Philadelphia Flyers finished off the Pittsburgh Penguins in game six with a 5-1 victory. Taking the series four games to one, the Flyers capped off a six game bloodbath filled with an abundance of goals. Through the first three games, this series simply seemed like a conduit for two groups of men to beat each other up. While this fighting took place, each group forced the issue on the other team’s goalie. As the Flyers took the 3-0 lead, the two state rivals combined to put in 32 goals. The Penguins won the next two games, looking like the squad that many envisioned winning it all this year. However, Flyers’ goalie Ilya Bryzgalov put together a phenomenal game six performance as Marc André Fleury allowed four of the Flyers’s five goals. Unfortunately for the Pens, Fleury decided to have his worst playoff performance of his career against their biggest nemesis. The Penguins will have to decide if they want to keep the core of this team or blow it up just as the Flyers did a couple of years ago. The reigning Stanley Cup champion Boston Bruins forced a seventh game against the Washington Capitols with Tyler Seguin’s overtime goal in game six. They will now host game seven in their own TD Garden. Taking three of their four series to seven games during last year’s championship run, this team has been exposed to the pressure of a seventh game. If Bruins goalie Tim Thomas plays like he did in game six (36 saves), Boston will move on to the second round. The eighth seeded Los Angeles Kings advanced to the second round for the first time in 11 years as they took down the top seeded Vancouver Canucks in overtime, 2-1, in game five. The Canucks had some odd coaching in this game, only making one lineup change in the entire game. Even though an eighth seeded team has never won the Stanley Cup, with the way the goalie Jonathan Quick and his Kings easily handled the Canucks, this team could be dangerous moving forward. Dwight Howard underwent back surgery to repair his herniated disk, forcing him to miss the playoffs and the London Olympics this summer. Howard’s pains started after the Magic claimed Brendan Haywood struck their big man in the back (with no video evidence) in a game March 30. Even though this injury could not be avoided, this caps of a drama-filled season for the Magic and their celebrity center. If it is possible to find a silver lining with Superman’s situation, Glen Davis has blossomed since Howard’s back pains started, averaging 18.1 points and 10.2 rebounds during April. The Los Angeles Lakers took down the Oklahoma City Thunder, 114-106, in double overtime. This marque matchup provided Staples Center and ABC viewers with one of the best NBA games this season even though Kobe Bryant, Kevin Durant and Russell Westbrook combined to shoot 23-82. The Thunder’s two all-stars could just not find a way to close out this game as Kobe came up big when the spotlight shined brightest. If these two teams meet in the second round of the playoffs, the Lakers have a good chance of taking down the team predicted to win the West since the start of the season. Metta World Peace bringing out his inner Ron Artest for the nation to see as James Harden received a concussion was the low point of the afternoon. Unless there is a new celebration move where a player swings his elbow at the level of his head, this has to be considered as a dirty move by World Peace (sounds weird, right?). What a sad sight for a guy that has stayed away from these types of plays since his name change. “That’s not a basketball play, man,” Kevin Durant said during a halftime interview. World Peace will likely be suspended for multiple games, which will carry over into the playoffs. Thanks to Marvin Williams mistiming his final move, the New York Knicks defeated the Atlanta Hawks, 113-112, as they now hold the seventh seed. Carmelo Anthony continued to play the best basketball in the league, putting up 39 points and 10 rebounds. He is averaging an astounding 30.2 points, 7.1 rebounds and 3.8 assists for the month of April. It’s too bad his high level of play won’t matter since he will face the Heat or Bulls in the first round. After being pounded by the Sacramento Kings (yes, that is possible), 114-88, the Charlotte Bobcats are three games away from finishing up one of the worst seasons in NBA history. In fact, if they lose their final three games, that will give them a winning percentage of .106 – the lowest in NBA history. You have to feel for Paul Silas who just doesn’t have any pieces to work with. Hopefully the insertion of Anthony Davis can help this team be somewhat respectable when he joins these ‘Cats. Reggie Evan proved to the nation why players should be fined for excessive flopping during the Los Angeles Clippers 107-98 victory over the New Orleans Hornets. This type of play needs to stop as more and more players (including many Clippers…) are finding ways to make a tick-tack foul look like a Ron Artest elbow to the face. The only way to fix this problem is to start taking money out of these players’ pockets. Philip Humber of the Chicago White Sox threw the 21st perfect game in MLB history against the Seattle Mariners on Saturday. Humber is now the fourth pitcher in the past four years to throw a perfect game. This was also the first time Humber made it all the way through nine innings in his six year career. His 32 sliders really helped keep the Mariners’ bats off target. Even though this is a great achievement for the young man, this doesn’t represent his level of pitching. It was a great surprise, but it can’t be forgotten that he pulled this feat off against the Mariners. Albert Pujols has had 61 at-bats this season without hitting a home run. Previously, his longest homer-less streak to start a season was 27. (Don’t worry, it’s not like the Angels have agreed to pay him $240 million or anything. Oh, wait.) Sitting last in the American West with a 6-10 record, Pujols’s Angels will need much bigger things from him if they want to make any noise come playoff time. Ever since the New York Yankees and Boston Red Sox started off each of their respective seasons with three straight losses, they have headed in different directions. The Yankees (9-6) topped off their recent hot streak Saturday when they strung together back-to-back seven run innings against the abysmal Red Sox (4-10) in their 15-9 victory. General Manager Bobby Valentine has received heat because of his actions and statements during his team’s struggles. In a town used to winning baseball during the past decade, Valentine’s seat should already be considered hot. Matt Kemp of the Los Angeles Dodgers has been phenomenal with 22 RBIs in the first two weeks of the season. He has been a huge factor towards the Dodgers’ 12-4 start to the season. On the other end of the spectrum, the entire Pittsburgh Pirates team has only managed 29 RBIs since the season began. Luckily for the Pirates, their pitching (2.53 ERA) has kept them at a somewhat respectable 6-9. The Texas Rangers took down the Detroit Tigers, 3-2, Sunday in eleven innings and took the series three games to one. The game didn’t end in on a happy note, though. As Alberto Gonzalez provided the winning run after reaching first base on a squeeze bunt, the replay showed the bunt hit his knee. The umpires let the play go, and the Rangers went on to steal the win. Even with the controversial call, this team has been playing baseball at an entirely different level than the rest of the league. They have the most runs (91), best batting average (.301), second best on-base percentage (.362), best slugging percentage (.508) and best run differential (+52) in the entire league. Along with a lineup that seems to have no weak spots, the five starting pitchers have been playing their part, collecting 10 wins and a single loss. These guys are buying into what Ron Washington is selling and their 13-3 record proves their commitment. If they can play anywhere close to this level of baseball once the playoffs roll around, they will be dangerous for a third straight year. The Philadelphia Phillies just placed Cliff Lee on the 15-day disabled list. This formerly hot-shot team stands at 7-9 with only the Pirates producing fewer runs on the year. Even though this team has great pitching – just as they did last year – they will need to find a way to pick up their hitting, especially with Ryan Howard out until mid-May. 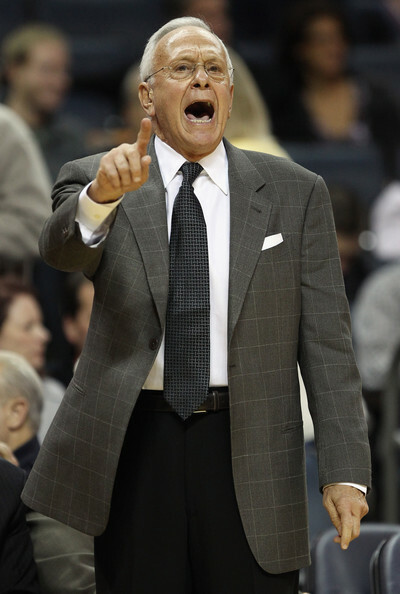 Larry Brown has been hired as the head basketball coach at SMU as the Mustangs prepare for their transition to the Big East. Brown has a tendency to succeed wherever he goes, except for his last two stops (New York Knicks and Charlotte Bobcats). The last time he coached at the collegiate level was with the Kansas Jayhawks from 1983-1988. He won it all during his last year before moving on to the San Antonio Spurs. It seems like a 71-year-old man should stay retired after 38 years on the job. Right? Wrong. Coaching is in Brown’s blood and it always will be. He will jump back in the game and be the face that this SMU program needs. Most reports indicate that the Indianapolis Colts will use their top draft pick on Andrew Luck. This will inaugurate a new era in Indianapolis as this confident football player seemingly has everything a football team wants and needs in a quarterback. However, don’t be surprised if he doesn’t completely live up to expectations since his expectations have escalated to an almost unattainable level. Pittsburgh Steelers restricted free-agent wide receiver Mike Wallace is pulling a DeSean Jackson as he prepares to sit out drills and possibly training camp in order to get the money he (thinks he) deserves. He wants the Steelers to give him a long-term deal after he caught 72 passes for 1,193 yards last season. When a player on a professional sports team whines about not getting enough money, in some form or fashion, in one of the most lucrative businesses in the nation, he looks like a selfish man that is caught up in his own sports world. Yes, players deserve to “earn their worth,” but that should only go so far when players are getting paid millions and millions of dollars to play a sport. Rafael Nadal took down Novak Djokovic 6-3, 6-1 to win the Monte-Carlo Rolex Masters for the eighth consecutive year. Djokovic clearly wasn’t at his best for this match, lacking the energy and heart he has displayed during the past few years. This commanding victory is a huge statement for Nadal, who had lost his previous seven meetings to the top-ranked player in the world. He entered this tournament coming off of an aggravated knee injury that has constantly hurt him in the past, but he surprised Monte Carlo all the way to the championship. Don’t be surprised if Nadal does extremely well once his favorite Grand Slam tournament rolls around in May.